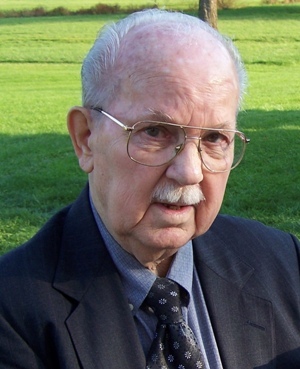 Obituary for Harold Frank Johnson | Doolittle Funeral Service, Inc.
Harold Frank Johnson, 86, of Middletown, husband of the late Shirley Ann (Dunn) Johnson, passed away on Friday, March 15, 2019 at Branford Hills Health Care Center peacefully with his family by his side. Born in Middletown, he was the son of the late Charles and Alpha (Hayes) Johnson. Harold grew up in Middletown and spent the last thirty years in Killingworth. He cherished time with his family, particularly his grandchildren and great grandchildren. He had many hobbies including photography, birdwatching, collecting many items, and had a tool and a way to fix anything that needed repair. Harold is survived by two sons, Steven R. Johnson of Middletown and Jon C. Johnson of Charlotte, NC; two daughters, Karen E. James of Westminster, MD and Nancy A. Johnson of Branford; a brother, Milton Johnson of Killingworth; sister, Claire Dolce of Middletown; nine grandchildren and three great grandchildren. Along with his parents and wife, Harold was predeceased by his daughter, Susan M. Johnson; two brothers, Everett Johnson and Norman Johnson and two sisters, Alpha Sambor and Bessie Christensen. Services will be private. In lieu of flowers, donations in Harold’s memory may be made to American Heart Association, 5 Brookside Drive, Wallingford, CT 06492. To share memories or send condolences to the family, please visit www.doolittlefuneralservice.com.